There was very little movement in the top 5 of the latest NCAA women’s volleyball RPI rankings, with 4 of the top 5 teams in the country staying exactly in their positions. Stanford remains #1, followed by BYU, Illinois, Pit, and Texas. Illinois held their spot in spite of going just 1-1 on the week: a 3-1 loss to Wisconsin, and a 3-0 sweep of a much-improved Northwestern team.The only new team in the top 5 was Illinois, who moved up 2 spots in spite of going just 1-1 on the week: a 3-1 loss to Wisconsin, and a 3-0 sweep of a much-improved Northwestern team. The new team in the top 5 is red-hot Pittsburgh, who moved to 17-0. They jumped 2 spots from #6 to #4 after conquering a big test against Syracuse 3-1, and then sweeping a much-improved, 12-6 Boston College team 3-0. Next up for the Panthers is a double dip in North Carolina against UNC and NC State. USC, meanwhile, slid out of the top 5 via a win over Oregon State 3-0, and a sweep 0-3 to Oregon. With 5 losses, USC has lost more times than any other team in the top 15 of the RPI (explaining the sharp contrast between their RPI ranking at 6th, the VolleyMob ranking at 12th, and the AVCA ranking at 15th – a lot of their losses have been to top 20-type RPI opponents). The biggest jump in the entire country came from Coastal Carolina, who moved from 164 last week to 118 this week (+46 spots) with a pair of wins over Arkansas State and Little Rock. The team is now undefeated in Sun Belt play after going just 1-7 in a hurricane-interrupted pre-conference schedule. Ironically, the biggest drop was by the same number of places (-46), with Charlotte dropping after losses to Southern Miss and North Texas in Conference USA play. Minnesota jumped into the RPI top 10 (+5 spots) thanks to a pair of wins over Northwestern and the defending NCAA Champions Nebraska. They face Illinois and Northwestern (again) at home next week – 2 more win could have them in the top 5. Oregon jumped +13 spots in large part to the aforementioned win over USC. The SEC is on a rebound year in terms of depth, and Missouri (4-2 in conference, 14-4 overall) is a big part of that. The Tigers jumped 11 spots to 30th in the latest RPI rankings after sweeping Arkansas and South Carolina last week. That was South Carolina’s first conference loss. Marquette dropped -8 spots from 13th to 21st. 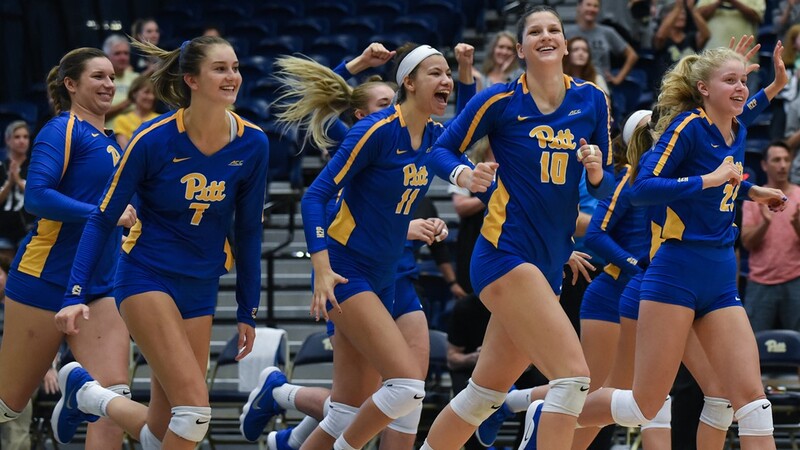 They swept both of their matches, against Xavier and Depaul, and have won 12-straight sets, but their opponents have a combined 9-26 record this season, which the RPI didn’t treat favorably. As compared to the VolleyMob Power Rankings and the AVCA poll, the RPI rankings are calculated mathematically. The intent is to create a more objective ranking to juxtapose the subjectivity of the AVCA poll, though by their nature there is still some subjectivity as to which numbers matter more than others in their calculations.